The ministry of communication says the project of the national television to move from analog to digital system is ongoing and about to reach the final stage. Frédéric Nahimana, Minister of Communication, says within 3 months, the national television will broadcast in a digital system. “The project is at the final stage and the preparation of the contract to acquire 190,000 digital decoders to be distributed to the population is ongoing”. He says there is a meeting with administrative authorities scheduled for January 25. “This meeting will shed light on the next step. Within 2 or 3 months, the digital television will broadcast in the whole country”. The Minister of Communication reacts while some people complain about the lack of access to the news broadcast on the national television. “Today, I cannot watch the national television. As I don’t have a digital decoder. 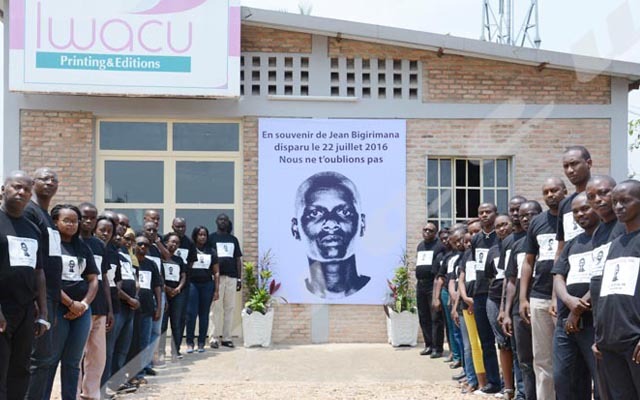 I was obliged to keep my television set in one of the rooms,” says a woman living in Gihosha zone, the north of Bujumbura city. She says there are people who came to their homes for enquiries and promised them they would bring them digital TV decoders. “It has been a long time. Since 2017, we are still waiting for them to come back with the so-called decoders in vain”. Mr. Nahimana says moving from analog to digital system was not an easy project to be concluded within a few months. “The operation has passed through different steps. Fortunately, it will be concluded soon”. Since 2012, Burundi has started the process of migration to the digitization of the national television. Burundian President officially launched the digital television system in December 2016.